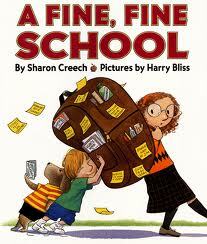 This is a fun one for kids as they head back into the classroom. It’s a good discussion starter too. What kinds of things would you want to learn about if you had to go to school every day? What would you miss the most if you spent all of your time at school? What things do you learn at home that you may not know if you were at school all the time?